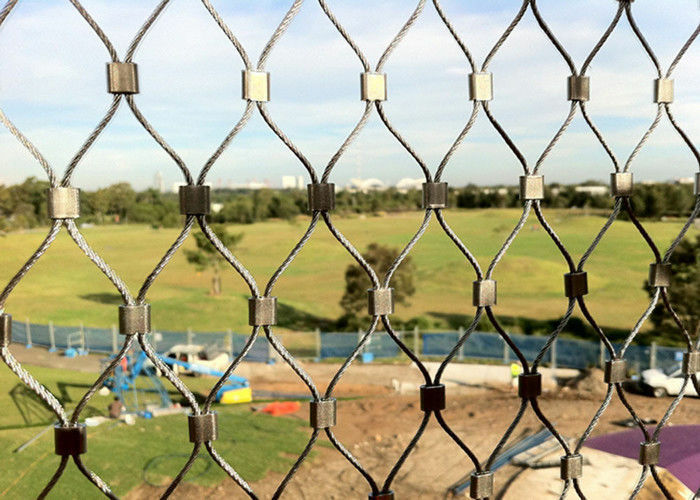 The X-tend cable mesh is manufactured in the standard diameters 1.0 mm, 1.5 mm, 1.6mm, 2.0 mm, 3.0 mm and 3.2mm. 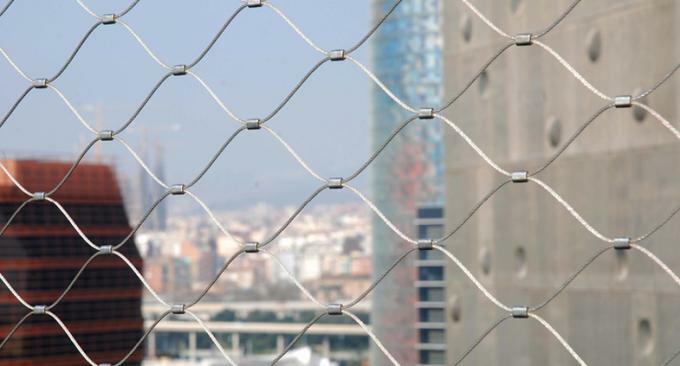 Mesh width of 25 to 200 mm (or bigger) are possible depending on cable diameter. 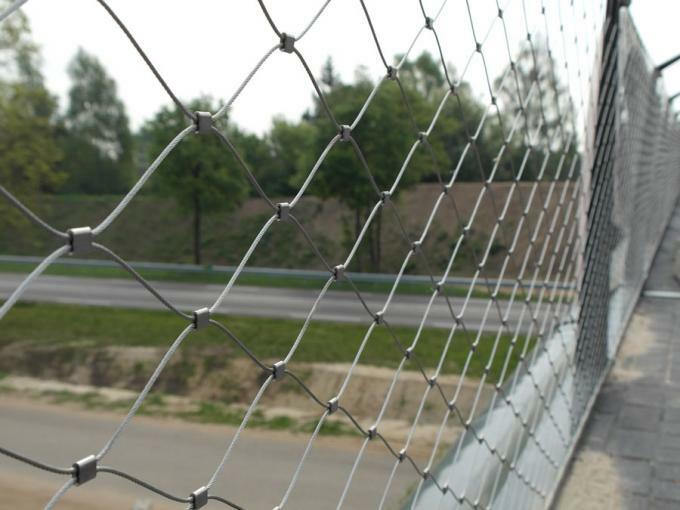 X-TEND is manufactured from high-grade stainless steel cables of material class 1.4401, AISI316. Unique design. 3D-structure, Flexible, Light weight, High open area %. Corrosion resistant, Maintenaance free. 10 years rust guaranteed. 2. 304 or 316 stainless steel? 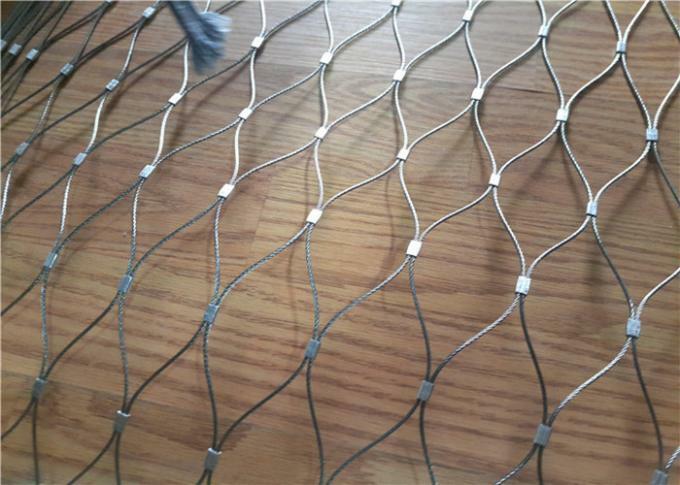 - Generally the 304 stainless steel is cheaper than 316 stainless steel, to flexible wire rope mesh, the main cost is process cost, so the cost of mesh between 304 and 316 almost same. 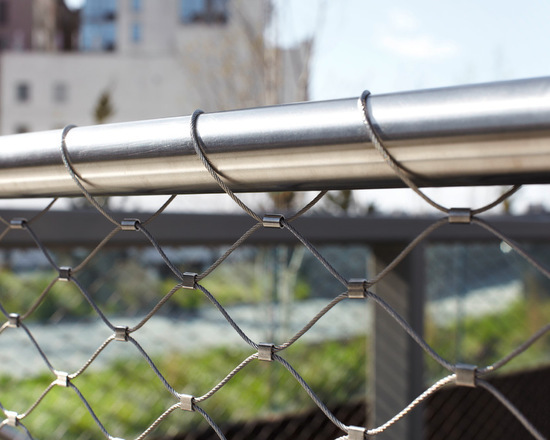 we suggest to choose 316 stainless steel. 3. What is the different with cable and opening ? - The heavier cable or smaller opening, the cost more expensive. 4. Is it safety ? 5. How to install the mesh ! - Full of our piece is manufactured with special edge design. install by yourself easily. 4. High strength, strong toughness, free-angles curving and fold, easy for transportation and Installment. 5. Anti-corrosive, resist the rust, can be repeated use. 7. This product can bear the heavy snow and the gale very much. 8. without toxic material, safety, environmental protection.